Scroll down for the #custserv conversation report for July 21st, 2018 EST. When it comes to participants, we ranked 11th among 423 conversations. In terms of the number of posts, we ranked 12th out of 423 conversations that took place. This conversation ranked 40th out of 423 in terms of the amplification of ideas & content. There were 32 reshares, 17% of posts, during the course of the conversation. 76% of participants in this conversation shared a total of 17 unique pieces of content. Retired academic. Author of #Memoir Split at the Root ~ about growing up among a race and culture different to her own. 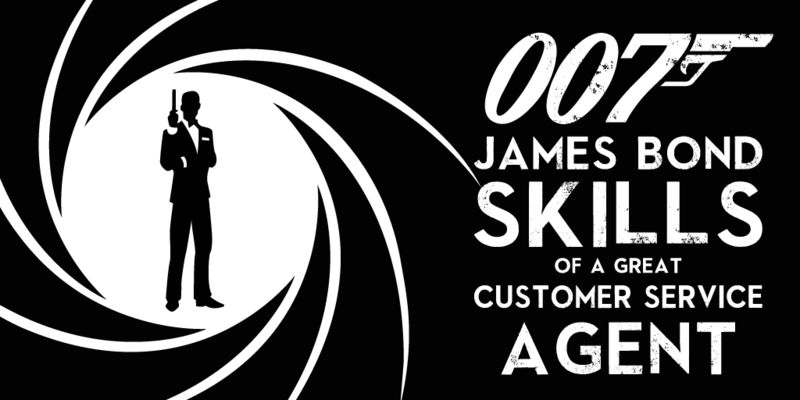 Who didn’t dream of becoming a super agent like James Bond? While secret service is not for everyone, its lessons can be applied to customer service.